On this post we are going to share with you Samsung Galaxy S5 SM-G900F, M, H, S official firmware Android 5.1.1 direct download without any waiting or any registration on site just click on download link and the download will start. You can download these files for your region if you from India or China then easily download file form giving a link to your regional language files and apps. This is official firmware form Samsung Odin flash file if your phone did not work properly or any other problem or you want to install Hindi language file on your Samsung S5 SM-G-900H then you can flash this file easily without the help of any other flash device just use Odin and Samsung USB driver flash your phone at home. Same time you are unable to flash your SM- G-900H with Odin then you have to root your phone then you can flash it whit Odin if you want to just root you SM- G-900H on android 5.1 then you can download Samsung Galaxy S5 SM- G-900H Root file we share lt,s download link also. If after entering in to download mode and Odin fail to flash your SM G-900H then download the root file and write it Odin then try to flash which ROM you download Odin will flash then. After Root same case phone did not boot normal and restarting on Samsung logo then put your phone into download mode and vol down your phone will boot normally if not then do that 3 or 4 times then the phone will boot normally. On your Samsung S5 SM- G-900H that method (OTA) you don't need to download the full firmware from our download link you can check the update for your phone firmware automatically without any other requirements only connect your phone wifi and go to setting and then >About> then tip on software update if your phone have any updates you will find here if you smartphone has any firmware updates for here you can get latest updates after click on start downloading update when download compared you have to click on install and your phone will reboot and start updating. if your phone did not work properly and showing errors during doing something like gaming or chatting its showing errors like that (android system has stopped, Google has stopped working or any game which you love to play the playing that game your phones says XYZ has stopped) in that type of cases first of all try to make a soft reset your phone form setting after soft reset your phone will start working. 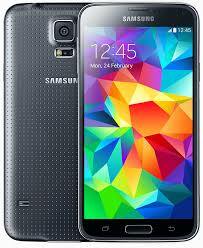 How to flash Samsung Galaxy S5 SM- G-900H firmware with Odin? That firmware update is only for only for Samsung Galaxy S5 SM- G-900H don't try to install that firmware on other models of Samsung Android devices that can destroy your phone.